The Greek letters might give you a clue, indicating that a fraternity or sorority might be responsible. Here's another clue. 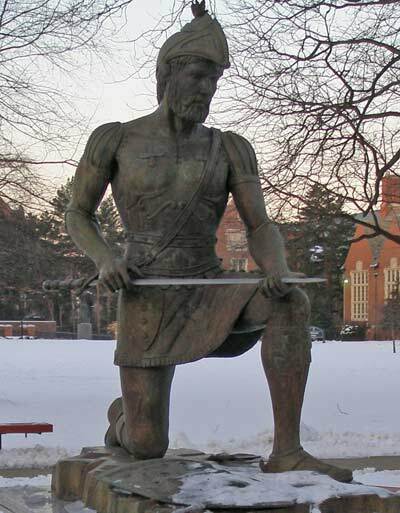 Does this statue of St. Ignatius Loyola give you the answer? 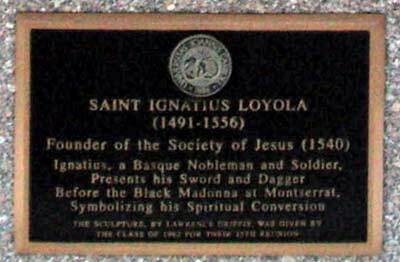 How about this plaque under the Saint Ignatius Loyola Statue? This last clue should do it. Do you recognize this figure? 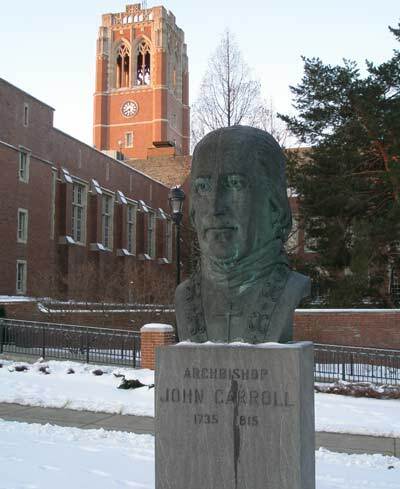 This statue is of Archbishop John Carroll and it resides on his namesake campus in University Heights. 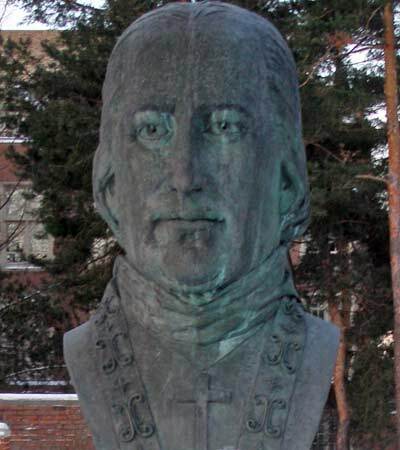 Bishop John Carroll was the first American bishop and the founder of Georgetown University. He was a member of the prominent Carroll family -- his brother Daniel owned most of the land where the Capitol is now located and his brother, "Charles Carroll of Carollton", signed the Declaration of Independence. 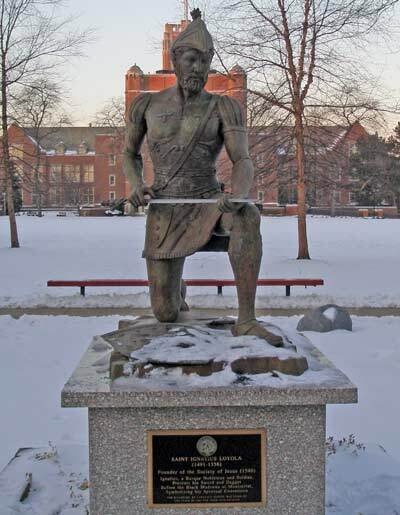 Similarly, this Saint Ignatius statue can be found at John Carroll University. Saint Ignatius founded the Jesuits (Society of Jesus) and John Carroll is a Jesuit university. 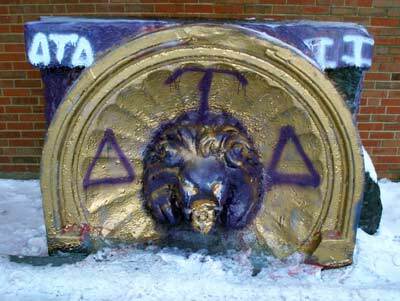 The painted lion in the first photo is called the Pacelli Lion and is the target of painting by fraternities and sororities at JCU.